Our guide to SEO for your blogs includes top tips and best practices for helping your content appear higher in relevant search rankings, so your website can more easily be found by the right audience. If you’ve been following our content marketing blog, you’ll know how important it is to be publishing regular, high quality WordPress blog posts like clockwork, in order for your content marketing to be a success. So, how do you start getting your blogs noticed by the people that matter – your audience? And how do you start creeping higher and higher in those all-important search rankings? It’s time to dive a little deeper and introduce you to Yoast SEO. SEO stands for search engine optimisation. It refers to techniques and best practices you can implement on your website to help your content get found more easily for the key words and phrases most relevant to your business. After all, one of the main reasons for having a website in the first place, is so people can find out who you are and what you do. technical SEO – the stuff you can’t see, like meta descriptions, keywords and alt tags on images. But it doesn’t stop there. A sensible website structure is also important for SEO. And of course Google loves links to and from reputable sites too. Despite what many people think, SEO is not about getting to No.1 on Google. In fact, it’s not really about search engines at all – it’s about the humans using the search engines. More specifically, it’s about growing the right kind of audience to help you grow your business. Despite what many think, SEO is not about getting to No.1 on Google. In fact, it’s not really about search engines at all. From a business perspective, blogging is important in raising awareness about your brand and growing an audience of returning visitors who may buy from you and may also be your advocates. SEO is an important consideration for businesses with an established blog as well as those just starting out. For a more detailed look at search engines and how they work, check out the video in our Top 5 tips for search engines. One of the key elements of SEO is keywords. These are words and phrases you can specify as the focus for each page or post on your site that tell Google and other search engines what you want these pages to be found for. For example, if you’ve written a blog post containing general help and advice about gardening, you might want to set your focus keyword as ‘gardening tips’. If you’re writing about a more niche or specialist topic, or you want your content to be found for something very specific, you would set your focus keyword accordingly, e.g. ‘eco-friendly landscape gardening brighton’. But be aware that, for the best results, your focus keyword should be used in primary areas like your page heading, excerpt and first paragraph, so if you make it too obscure this will be harder to achieve. So, stay focused and use keywords wisely. Ensure you stay on topic to make it easier for people to understand the point you’re trying to make. The formatting of your blog post is another important element of SEO. Break up your text into shorter, easy to read paragraphs. This improves the experience for your readers too, as it can be hard to follow long blocks of text when reading on screen. The more white space, the better. Make sure your post is clearly structured – break up sections with subheadings and use bullet points or numbered lists where relevant. Create eye-catching, unique headings people will actually click on. Using questions as subheadings, and featuring your focus keyword in your headings, are both good practices. If your headings aren’t interesting no-one will even see the rest of your content. Google loves links, so make sure you link between your posts and other relevant pages, especially your evergreen content. Links to and from external sites are important too, but make sure these are reputable. Ensure you include a clear call to action at the end of every post. What do you want people to do next: Sign up to your blog? Download a PDF? Book a free consultation? Make it simple, clear and compelling. After drafting your post, scan read it to make sure your readers will get a good gist of the content and key messages just from the subheadings and overall format. Check your html formatting. Even if you’re not familiar with html, you can go into Text mode (rather than Visual) in WordPress and make sure the text isn’t full of gobbledygook. This often happens when copying and pasting from another application, such as Word or Google Docs. To remove this simply highlight your text and click ‘Clear formatting’ from the editing toolbar. Ok, here’s where it gets slightly more technical. But bear with us, we’ll keep this as simple as possible. It’s very important to add SEO data for every page and post you publish on your website. The best way to do this is by installing the Yoast SEO for WordPress plugin. Why? Because it’s free and has a great keyword focus tool to help you stay on track when creating content for your website. There’s also a paid version – Yoast SEO Premium – which we use at Wildheart. But if you’re new to blogging and SEO, the free version is more than adequate. Focus keyword: as mentioned earlier, this is the main word or phrase you’d like search engines to focus on for this post. This is the most important element of Yoast SEO and should always be completed for every blog post. SEO title: by default this is set as the title of your post, but you can edit it if you need to, for example, if your blog title is very long or doesn’t contain your focus keyword. Meta description: by default this is set to the first couple of lines of your opening paragraph. However, for the best results it’s good practice to rewrite this as a summary of the main points of your post and how it will benefit your audience. You can use the same text as your excerpt, as long as it’s not too long – Yoast will tell you if it is. The snippet preview will show you exactly how your snippet will appear in search results, so you can edit it to fit and make sure it displays correctly. Ideally, you should have both Google Analytics and Google Search Console set up on your site, as these will provide important data as to how your site and content are performing. It’s important to get this set up right from the start. Average time spent on each page. Number of new and returning visitors. Landing pages, i.e. which pages people land on first. 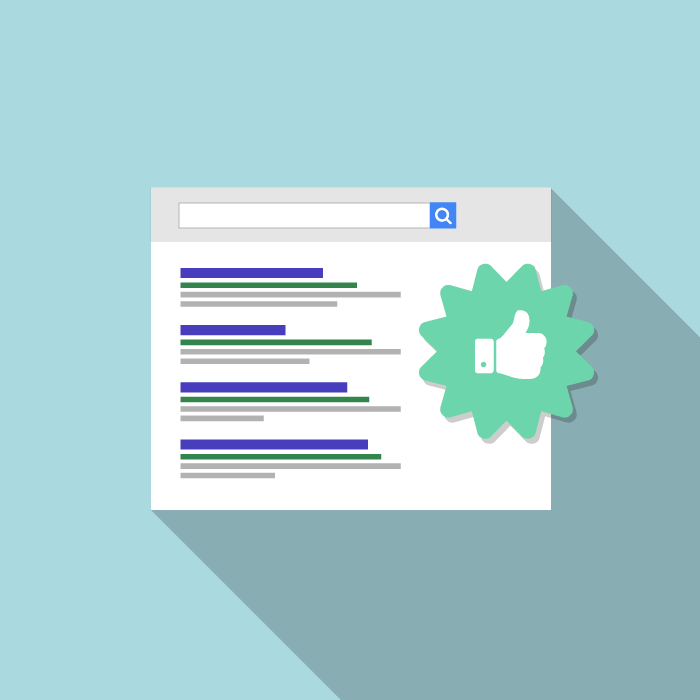 How good are your posts at bringing traffic to your site via search? Page bounce rate, i.e. how quickly people land on and leave each page of your site without viewing any other pages. Generally, you want people to click a relevant link and stay on your site for longer. Finding out how Google sees your site in terms of keywords and relevance. Ensuring you have redirects set up with no crawl errors. Ensuring your sitemaps are up to date. Ensuring you have no warnings from Google. If this all sounds a bit too geeky and technical for you, why not check out our Essential Setup package? We’ll deal with all the important nuts and bolts to make sure your website is set up just right, so you can start growing your business with content marketing. Make sure your WordPress theme is responsive, i.e. it works just as well on a full sized screen as it does on a tablet or phone. Why? You should show people you care about their browsing experience by making sure your website adapts to their environment. If that’s not reason enough, Google actually penalises sites that aren’t responsive. Make sure your website is optimised for speed. Again, Google penalises sites that are too slow to load. Your images should be optimised too. A picture says a thousand words… but not if it takes too long to load! Check out our guide to creating images for your website for an in-depth look at optimising your images. Google loves links, so make sure you link between your posts and other relevant pages, especially your evergreen content. Make sure all posts have a clear call to action – and only one per post! Review your blog categories – can you simplify and re-organise these for maximum effect? Ensure you re-submit your sitemaps in Google Search Console following any major changes to your site. If this sounds like a lot to remember for every blog post, let us dissolve your headaches. If you sign up to one of our monthly content marketing packages we’ll do all this for you and more. We’ll edit, format and publish your posts, making them search engine friendly and measuring their progress. And we’ll do it all like clockwork. So you can get back to doing what you’re good at while your business grows.